Is it time to upgrade your computer? Maybe you bought a new machine not long ago and still have your old one lying dormant on your desk. The sooner you sell it, the more money you’ll get. Apple hardware tends to hold its value. Some call it “Apple Tax” or misplaced brand loyalty, others believe Apple’s machines have a longer lifespan than those made by their rivals. Whatever the reason, your Mac was expensive when you bought it and you can recoup some of your investment by selling it second-hand. Here’s how to do so safely, while protecting your data and charging the right price. If you’re still using your Mac and haven’t yet migrated to a new machine, you’ll want to back up your data. When you’re moving directly to another Mac, the easiest way to do this is using Time Machine. Apple’s built-in set-and-forget backup solution creates a record of your important files and documents so you can migrate or restore when the time comes. You should already be backing up your Mac with Time Machine. But just in case you aren’t, you’ll need to plug in an external hard drive (or use a NAS or Windows share Turn Your NAS Or Windows Share Into A Time Machine Backup Turn Your NAS Or Windows Share Into A Time Machine Backup Use your NAS, or any network share, for backing up your Mac with Time Machine. Read More ) and launch the utility. You can force Time Machine to back up by clicking the Back Up Now option via your Mac’s menu bar (above). This will back up all of your files, including iTunes and Photos library files, whatever is in your Documents folder, and your apps. It won’t back up system files, including preferences for some apps you have installed, caches, logs and so on. You may also want to use another more complete “cloning” backup app, like Carbon Copy or Super Duper 5 Local Mac Backup Solutions That Aren't Time Machine 5 Local Mac Backup Solutions That Aren't Time Machine There are lots of Mac backup options out there, and many of them have features that Apple's default backup app just can't compete with. Read More . These apps allow you to create a bootable mirror image of your drive which you can then restore. Restart your Mac and hold the Command + R keys while it boots to enter Recovery mode. Launch Disk Utility from the macOS Utilities window that appears. Select your boot partition (it’s probably called Macintosh HD) and click Erase. Choose Mac OS Extended (Journaled) for the new partition and name it “Macintosh HD” or something similar. Select Reinstall macOS from the macOS Utilities window and follow the prompts. You’ve just erased your drive and started the macOS reinstallation process. Your computer will connect to the internet to download the the installation files, and this might take a while to complete. When your Mac finally reboots and displays a Welcome startup screen, hit Command + Q to shut it down. This will leave the OS in an “as new” state for the next owner. Cleaning your machine will only affect your asking price if you intend to sell it directly to a buyer, either in person or online. If you’re going to take pictures for an online auction or classified listing, clean your machine thoroughly first by wiping it over with a damp cloth. Make sure both the outer shell and inside is clean. Remove all the gunk from in between the keys, on the trackpad, and in hard to reach corners and vents. Clean up the power cable and transformer as these tend to get dirty when dragged on the floor. Clean the display with a damp cloth, getting into the edges of the screen (avoid cleaning products, water is fine). Clean the ports and the bottom of the machine too. Don’t miss the air vent gap in between the keyboard and the screen. Clean the screen, surround, ports and main unit itself just as you would a MacBook. Take care to ensure any included accessories are also clean: the mouse or trackpad, keyboard, and power cable. If you want to get a little more involved, clean out dust by opening your machine up How to Clean Out Dust From Your MacBook or iMac How to Clean Out Dust From Your MacBook or iMac Cleaning dust out of a Mac isn't as easy as cleaning dust out of a PC, but it's not impossible. Here's what you need to know. Read More . This will void any warranty you still have left, so be careful. The idea is to make your Mac look as “new” as possible. You’ll attract more buyers and possibly bring in a higher price if it looks the part. Many buyers don’t just want a decent second-hand computer, they want the Apple “look” too. You have two avenues for selling your machine. You can either sell it directly to a buyer or you can find a company who will buy it. You’re almost certain to get more money by selling directly to a buyer. Whichever you decide to do, head to eBay and perform an advanced search for your machine (e.g. “MacBook Pro Retina 2012”) including Completed listings to see what sort of price you can expect. 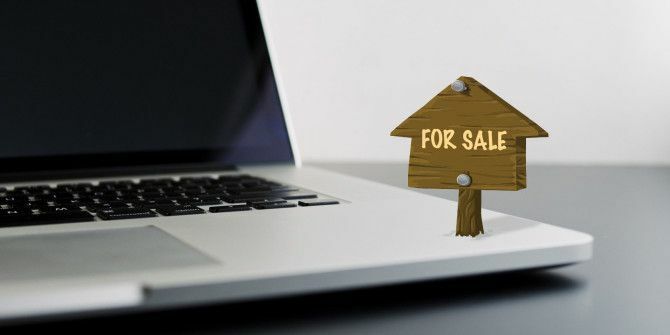 If you decide to sell direct, you can use an online auction site like eBay or sell it in person using Craigslist or similar local marketplaces. Take clear photos that include any scratches or damage, and craft a description that includes the model, year of manufacture, and specifications. Don’t forget to mention included accessories, and any relevant history. 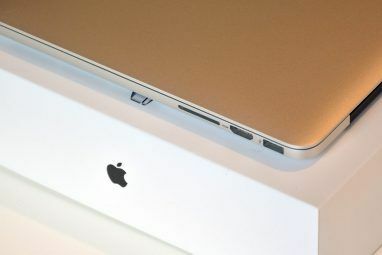 If you brought a MacBook brand new in 2012 and had the battery replaced by Apple in 2015, this information may push the price up. List any faults or problems the machine may have to avoid post-auction conflicts, including dead pixels or dodgy USB ports. Tell sellers you have tested the machine, reinstalled the operating system, and it’s ready to go. eBay makes it easy to list your item, make quick sales with Buy It Now, and provides protection from scams in the form of PayPal 11 Critical Tips on How to Sell More on eBay 11 Critical Tips on How to Sell More on eBay eBay is one of the top online shopping sites. You may be a seasoned seller on eBay, or you may have just started with your eBay seller career, these tips can help boost your profits. Read More . Keep in mind that there’s inherently more risk involved if you choose to sell in person. Follow the best practices to selling safely and profitably How to Safely and Profitably Sell Used Gadgets on Craigslist How to Safely and Profitably Sell Used Gadgets on Craigslist Selling used gadgets on Craigslist can be a scary proposition, both for your safety and your money-making prospects, but these tips will help you make the most of it. Read More , like meeting in a public place and avoiding lowballs by increasing your asking price slightly. Facebook, Craigslist and Gumtree are all good options for placing free local classified adverts. Your other option is to find a company who will buy your Mac. This is a less profitable route for the seller as the company will need to turn a profit, so you’ll get less than market value. The upside is that the sale will be quick, and many online buyers even offer free postage. Apple has their own trade-in scheme, with which you can get store credit to buy more Apple products. There are many other companies online Are You Selling An Old Mac Or iPhone? These Sites Will Snap It Up Are You Selling An Old Mac Or iPhone? These Sites Will Snap It Up Have you ever tried to sell your used electronics on eBay? It is next to impossible. Sure, if it does sell you might make a pretty decent amount of money, but trying to make you... Read More who will buy your old computer, or you could head to a local pawn shop or computer dealer and see what price they can offer you. 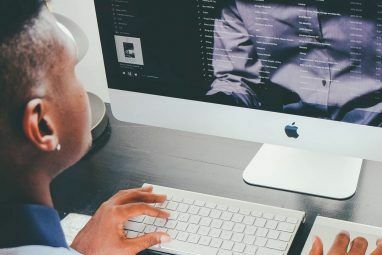 If your Mac is badly damaged, or you want a quick sale, then getting a flat rate from Apple, Amazon, or another company might be the best way to go. If your Mac is broken, why not try to fix it yourself Fix Your Own Mac: A Troubleshooting Guide Fix Your Own Mac: A Troubleshooting Guide Apple is known for having great customer service and repair technicians, but if you're no longer under warranty that expertise doesn't come cheap. Why not try troubleshooting your own Mac first next time? Read More ? When your battery life is terrible Calibrate & Maintain Your MacBook Battery For Best Performance Calibrate & Maintain Your MacBook Battery For Best Performance If you correctly calibrate and maintain your MacBook battery, it's possible to improve performance and put off replacing it for as long as possible. Read More , look into buying and fitting a new one. Look to reinstall macOS, fit an SSD How To Swap Out Your Macbook's DVD Drive For An SSD How To Swap Out Your Macbook's DVD Drive For An SSD Is your old Apple laptop starting to struggle? Is the boot time so long that you can actually go out and buy a coffee? If so, perhaps it's time to think about upgrading your main... Read More , and install more RAM when you Mac gets slow. If you haven’t got one already, consider turning it into a file server Use Your Old Mac as a Server or NAS Drive — Here's How Use Your Old Mac as a Server or NAS Drive — Here's How If you haven't yet sorted out some network-attached storage, you might want to think about using your old Mac as a jumped-up fileserver. Read More . And when you think you need a new Mac, consider whether a cheaper iPad Pro can replace it Use Your Old Mac as a Server or NAS Drive — Here's How Use Your Old Mac as a Server or NAS Drive — Here's How If you haven't yet sorted out some network-attached storage, you might want to think about using your old Mac as a jumped-up fileserver. Read More and keep your old MacBook around for the few tasks iOS can’t perform. If you’re feeling generous, you could even give it away to a family member or friend in dire need of a working computer! Have you sold an old Mac? What route did you choose? And what did you get for it? Explore more about: Computer Privacy, Data Backup, Drive Format, MacBook, MacBook Air, Selling Online.